The Provincetown International Film Festival (PIFF) announced that fierce LGBT ally & Academy Award winning director Ang Lee will be honored with the 2016 Filmmaker on the Edge Award to be presented during its 18th edition running June 15th to 19th in Provincetown, MA. Lee will accept the award in conversation with resident artist John Waters on Saturday June 18th at Provincetown's historic Town Hall. The two time Academy Award-winning director (LIFE OF PI, BROKEBACK MOUNTAIN) Lee's filmography also includes CROUCHING TIGER, HIDDEN DRAGON & SENSE AND SENSIBILITY. He is currently in post-production on his next feature BILLY LYNN'S LONG HALFTIME WALK. Andrew Peterson, PIFF's Director of Programming stated "Given Ang Lee's beautiful artistry, remarkable versatility & towering command of craft, it's long been a dream of ours to honor him with our Filmmaker on the Edge Award & 2016 is the year that dream comes true! We are honored & thrilled to celebrate him & his already legendary career." Previous recipients of the Filmmaker on the Edge honor include David Cronenberg, Darren Aronofsky, Quentin Tarantino, Mary Harron, Todd Haynes, Gus Van Sant & Christine Vachon. Additionally the festival announced that prolific filmmaker Effie T. Brown whose credits include DEAR WHITE PEOPLE, IN THE CUT & BUT I'M A CHEERLEADER will host the third annual Evan Lawson Filmmakers' Brunch on Sunday, June 19th. 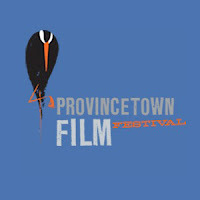 Christine Walker, Executive Director of PIFF & CEO of the Provincetown Film Society concluded, "It is no coincidence that we chose to honor two filmmakers who have recently sparked serious discussion about diversity & racial stereotyping in the film industry. Through Ang Lee's masterful storytelling & Effie's behind-the-scenes fierceness both filmmakers remind us that a powerful bridge to the cultural divide is an empathetically-told story about our shared human condition."